Hyundai Motors India Ltd. (HMIL) has launched its new generation car – Hyundai i20. This premium hatchback car is fully enabled with aggressive and gorgeous looks. It is a very stylish and classy car with elegant exteriors and interiors. The looks and technology of Hyundai i20 is largely inspired by its premium hatchback model Hyundai i30 already launched in Europe and Korea. Appearance – Hyundai i20 is available in seven exciting colors – Sparkle Blue, Silky Beige, Black Diamond, Crystal White, Sleek Silver, Berry Red and Dark Grey. Hyundai i20 front has a low slung grille, large headlamps and sporty round fog lamps. The wider air dam on the front of the car gives more style and cooling effect. The sunroof option also gives a stylish and elegant look. The car has alloy wheels and body colored outside mirrors with indicators and body colored door handles. Comfort – The height adjustable headrests at front seats make driving very comfortable. Electronic power steering, Rear defogger with timer, Tilt & telescopic steering for greater driving comfort, Luggage Lamp, Power Window Switches, Rear wiper & washer are extra comfort features. The rear seat has a generous and comfortable legroom. Safety– The car has many in- built high technology safety features like Driver Airbag with Seat belt pretensioner, Side and curtain Airbag, Dual airbag with seatbelt pretensioner, PAB ( Passenger Airbag) on-off switch, ABS (Anti lock Breaking system), Low fuel warning lamps, Door and tail gate Ajar warning lamps. The car has ABS (Anti lock Breaking system) with EBD which helps the prevention of wheel locking. Central locking, Child safety lock are also some exciting safety features. Below mentioned are various Hyundai i20 Models along with their prices (taking Mumbai as base pricing location). Hyundai i20 1.4 Asta (AT) – Rs. 7, 84, 088. Hyundai i20 Asta – Rs. 6, 00, 968. Hyundai i20 Asta (o) – Rs.6, 22, 316. Hyundai i20 Asta (o) 1.4 CRDi (Diesel) – Rs. 7, 70, 167. 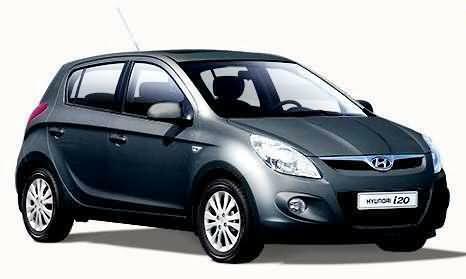 Hyundai i20 Asta 1.4 CRDi (Diesel) – Rs.7, 30, 699. Hyundai i20 Era Petrol – Rs. 4, 73, 746. Hyundai i20 Magna – Rs.5, 15, 487. Hyundai i20 Magna 1.4 CRDi (Diesel) – Rs.6, 62, 805. Hyundai i20 Sportz Option – Rs.5,41,831. Hyundai i20 Sportz Petrol – Rs.5, 57, 395. The above specified prices are the lowest approximate prices which exclude tax, registration, insurance and cost of accessories.